Happy Holidays! 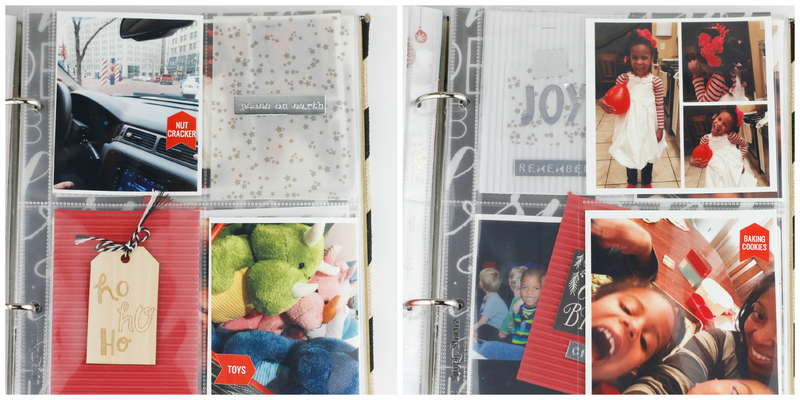 It’s Tyra here and I’m delighted to share a peek inside my journal featuring the oh so perfect Clique into the Holidays Kit. I am happy to report that my journal making this year has been a success. What made the difference for me this year? 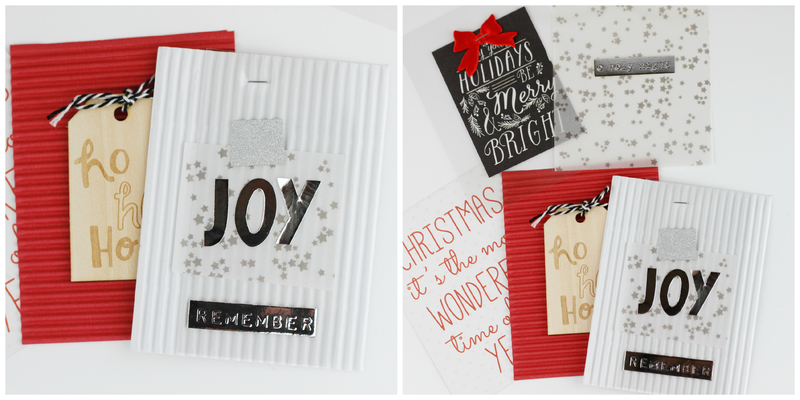 Last but not least, the super affordable Clique Kits Holiday Kit, including the well coordinated papers and embellishments, along with an ample supply of pocket style journal cards! So, let’s get to the journal! I created a few journal cards of my own, but kept it simple. Knowing that I’m using a pocket style journal, I precut a lot of paper to a 3 x 4 or 6 x 8 size and used my tiny stapler to make everything come together. 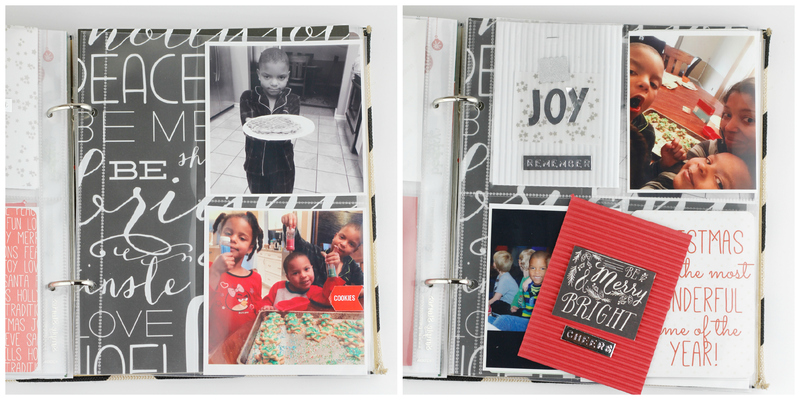 The holidays are super busy, so this journal needed to be quick and easy or it wasn’t going to happen at all. Here are a few of my journal pages! Literally everything came together fast as I simply remembered to snap a photo everyday during the month of December. I also added my children’s school projects, church and event programs, weather forecasts, and receipts for special purchases. I’m soo happy with the progress I’ve made. I’m soo happy I was able to capture December my way. Just remember the next time you decide to assemble a journal, it’s really about the memories. Keep the journaling part easy. Clique Kits help make that process so much easier. Happy Holidays to you and yours! Take care, Tyra. Categories: clique into the holidays | Tags: christmas | Permalink. very cute, tyra! simple and easy is def the way to go this time of year!! Tyra this is what this kit is all about!! Doing December your way & I totally love your way!!! Fab work girl! This is a gorgeous album. 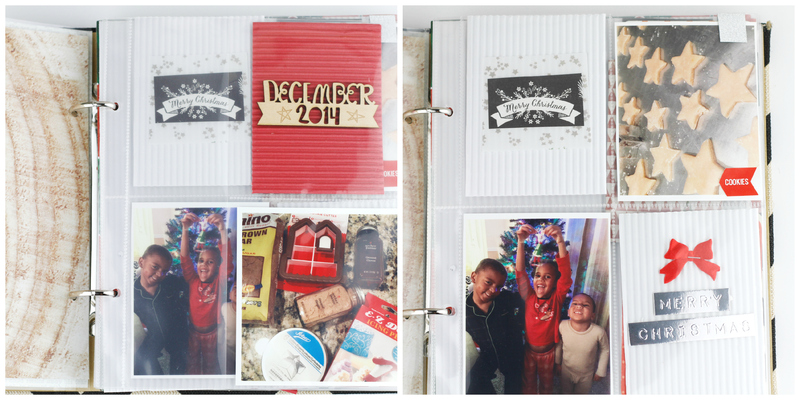 SO glad you found a successful way to document December. 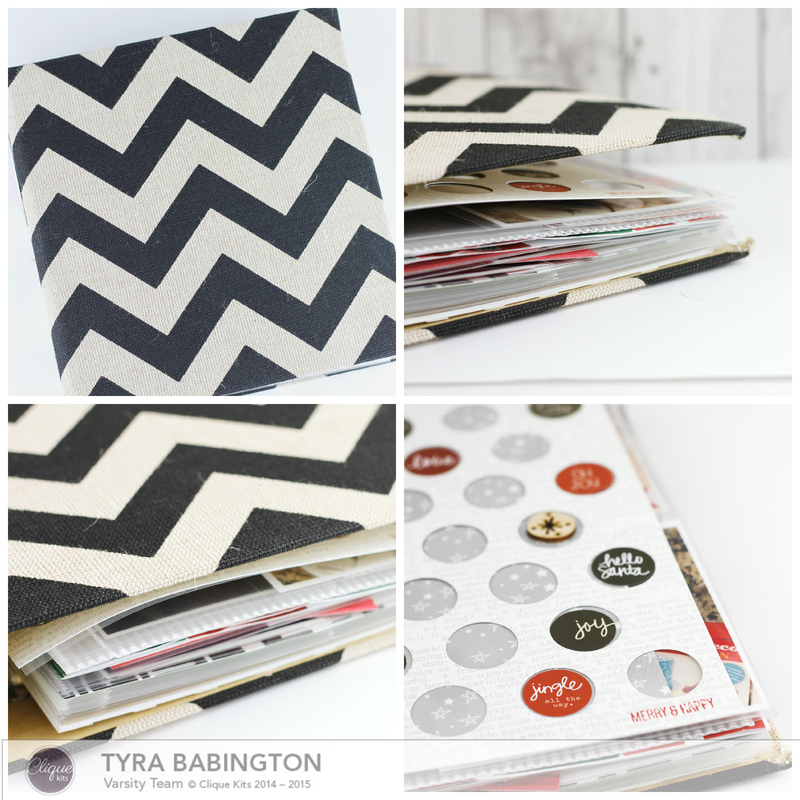 Tyra, I love the journal you shared….awesome job. It is so full of color and great pics! !